It’s finally here. 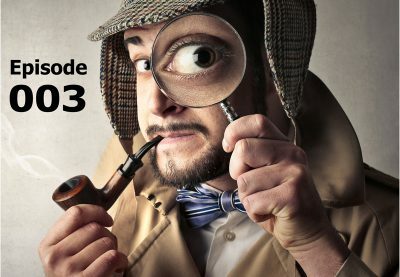 The first episode of my new SEO podcast. 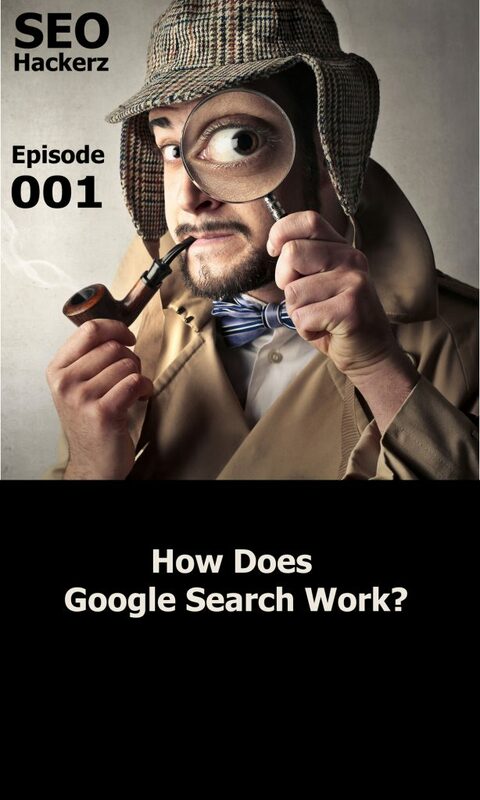 The SEO Hackerz Podcast debuted with a review of how Google Search Works. In recent months I have discovered a few things. In this podcast, I debunk these theories and myths. Hopefully, it’s a little clearer as to how Google returns results for a users search query. I will have this transcribed as soon as I can determine the best way to do that. Welcome to SEO Hackerz the SEO podcast for the people where we discuss SEO issues with your Web site and your business. Alright, Alright Welcome to Episode One of SEO Hackerz. I am your Host Scott Gombar and uh I thought we’d start it off with something simple. Well, maybe not so simple. I’ve noticed in a lot of online groups, Facebook groups, LinkedIn groups, different forums and so forth, a lot of People don’t really understand how Google search works and I think in order for you to plan out just your SEO properly you need to understand how SEO, how Google search works. So that’s the purpose of this first ever episode of SEO Hackerz is to show you just how Google search works. So what I’m going to do is share my screen. And this is Google Chrome. So I want to point out a few things here before we get going. We don’t need to log into everything so I am logged in to Google Chrome itself. So if you’re not familiar Google Chrome allows you to save your settings across the different devices. So if you’re logged in then it’ll remember all your settings all your bookmarks and so forth. You can see right here I’m logged in to Google Chrome. So it knows what I’ve searched for in the past. It knows what websites I’ve visited and if I go on my mobile device or on another computer or wherever it may be then it’ll have the same settings there so all of my bookmarks and believe me I have a few hundred bookmarks here. It remembers that. So my default pages, I have three default pages one is Gmail, one is Hootsuite and one is Google Search. So this is where most people start their search or a lot of people start right here in the address bar. They might just type in a query here and depending on your settings your browser will default to whatever search engine you choose. And right now Google accounts for 70 to 80 percent of all search queries on the Internet in the US. So let’s just type in a simple search. Let’s say I am looking for a plumber, local plumbers. So it and it gives you some suggestions here. I could do the same thing here and it will do the same thing. But we’re going to search for local plumbers. And this is a search. This is the search engine results page. So this is the results that it returns for your search. Now had I searched for plumbers in the past the search results would be different somewhat because it would be Google. One of the factors that Google looks into is your search history. I don’t think I’ve searched for plumbers on here in the past and think I’ve only used Facebook for that. So here are the results. This is an ad. These are ads. With reviews. I’m sorry. Yes, these are ads. These are also ads. This is new. So that threw me off a lot off a little bit but it looks like there are ads that include reviews. So that’s pretty cool. But how do I know if its an ad? Because it says sponsored right here. These are also ads. It says ad here. This is your Google Local Pack or Google Three pack. Different people call it different things and this is returning results based on my location. Okay so the ads aren’t necessarily based on location so Roto-Rooter is national. This is a uh Looks like it’s probably some type of listing site or some type of referral site or lead site for plumbers. These are all local plumbers to me so you can see on the map I am in Meriden Connecticut. Yeah. Look at this map here I’m somewhere in here. And so it’s pointing out the local plumbers to me. And I can expand on this but there is usually only 3 listings here that will show up depending on what your query is. Usually, no more than 3 and sometimes less sometimes none at all. And you could sort by rating and by hours of operation and then you can expand to more locations. Below that these are the organic results now by the way, so all of this, the ads from AdWords, most SEO companies might also do AdWords or partner with someone that does AdWords. My business, my company does do AdWords as well. SEO companies should be doing this (Google 3 Pack). This is part of local SEO, the Google 3 Pack, the Google Local Pack. This is set up through Google My Business. Then these are the organic results and this is what most SEOs focus on through the various methods and we’ll go into various methods of ethical and not so ethical SEO in future podcasts. So we have here Home Advisor, we have Yelp, and we have Blue Frog Plumbing. Home Advisor and Yelp, these are going to be directory sites. Probably most of you are familiar with Yelp. Home Advisor maybe you are familiar with it if you’re in the service industry or you’ve done any type of home repair in the past. YellowPages is the same thing. Affordable Plumbing Services looks to be a local plumber. Based on the phone number it says Meriden Connecticut 6 3 0 is a Meriden phone number. We have Angie’s List which is another site similar to Home Advisor. Roto-Rooter is a national brand. Local 777 is the union for plumbers and pipefitters. A1 quality Router is another local 235 is also Meriden prefix. So we’ve got Thumbtack, If you’re not familiar is another lead generating site for a different service type businesses. Then you have some more ads. So we have should be 10. 1 2 3 4 5 6 7 8 9 10 results. Of those 10 I think there’s 1 2 3 local plumbers listed of the ten in the organic results. Then you have the ads. Okay so let’s just search Plumbers so we can see. A lot of people believe you can’t rank for one-word keywords anymore so plumbers would be, believe it or not, is a very high-value keyword on Google and I’ll use another one after this just to show you what I mean. So similar results here you have your ads and (Google) actually provides a definition. The Knowledge Graph. This is, and I’ll do this in a future episode but this is another SEO tactic that I’ll get into in a future episode. Your Google 3 pack, a little bit different this time but I think two of the three are still the same. Then Home Advisor. Blue Frog moved up. Blue Frog moved up on this listing. So they are a local plumber I believe. Central Connecticut. I am in central Connecticut. They are a local plumber so they moved up. They’re in number two in the organic listings for plumbers. Not Meriden plumbers, not local plumbers, not plumbers near me. Just plumbers. So I’m going to show you what the keyword volume on that is in a moment. New Concepts Plumbing, also local. Johnny’s Plumbing LLC local. Peter White. These are all local so now we searched for just plumbers. We have more local businesses listed and this is like I said a high-value keyword. Let me show you what I mean. I’m going to go to Moz Keyword Explorer at Moz.com. Moz appears to be a little bit slow at the moment. Here we go. Keyword explorer is going to ask you to log in but let me just show you what that looks like. It didn’t ask me to log in. Yes, it did. Where’s the log in option? Here we go. I do not have a paid account with them at this point. I have used them in the past. 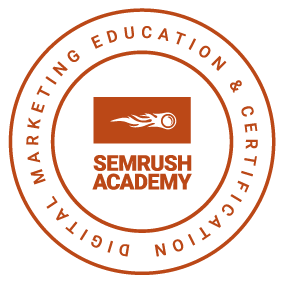 I’ve decided to stick with SEMRush as my primary tool. What is my username? That’s why. We’ll get it right, I promise guys. So we log in you must do it one more time. You can see in a given month there are between 11,500 and 33,000 searches for just plumbers. If you look so plumbers near me actually gets 70 almost 71,000 to 120,000 searches per month. This is a high volume so if you divide it by 50 states you’re getting a significant number of searches per month. High Difficulty. Let’s do plumbers near me just to show you what I mean. So 71,000 searches per month. You have Yelp, Home Guide, Home Advisors, BBB, Angie’s List Angie’s List Thumbtack. Blue Frog again shows up on page 1. Roto-Rooter and Affordable Plumbing Services. So those two are doing quite well with their SEO. I would imagine that they have somebody internally doing this or they have contracted an SEO Mot me. I don’t work with any plumbers at this point so if you’re a plumber and you need an SEO guy. I’m your guy. So there are two local listings two local businesses in the organic search results for plumbers near me. And this gets anywhere between 71,000 and 120,000 searches per month nationwide so you can rank, that proves that you can rank on the first page of Google for one word or high-value keywords. Another one that comes up a lot and I do work with some attorneys. None in Meriden. So let’s do attorney. So here’s your ad. Here’s your knowledge graph again, and again, I’m going to get into why this is so this is Wikipedia but there is a chance you can rank here for your website and we’ll get into that in a future episode. People also ask for… This is a keyword strategy. Is an attorney and a lawyer the same thing so maybe now you have a blog post on that because people are searching for that. That’s another strategy and we’ll get into that later. Charles Thompson Law. local lawyer. Eaton Law. Local Lawyer. STMC Law local. So as you can see… and there are top stories because there’s a lot a lot of stuff going on in the country about that right now. Attorneys.com. You know some of these are going to be listing, a lot of them will be listing sites. They have more power, more money, more resources behind them. But I have one two three law firms locally ranking in the top four for organic search results. Three of the top four. OK.
And then you have your Google Places. None of those three are here. So that’s something. To me what you should be doing is something I try to get business owners to do. You should own the first page. So yes it’s easier, by the way, to rank for a branded name. So Scott Gombar is a brand name. And so here’s my google my business listing, my website, LinkedIn, Twitter and so forth, Yelp, BBB, Facebook and so forth. If I keep going it’s all me UpCity and Alignable. Alignable is a great site by the way. If you’re not using it, use it for local businesses. So this is what you should be trying to do and if I go back to attorneys then they’re not doing this. Charles Thompson, Eaton Law STMC Law. None of those are here. They’re not owning as much of the first page as possible. Alright, so that’s part 1 of that search. Now, these listings are, these returns these are skewed by my preferences. my locale, and what I’ve searched for in the past. Possibly my search history. Right. So let’s try, we’re going to go to Firefox. So what I’m trying to point out is that your search results will not be the same as mine. I don’t know if Google is the default search engine on Firefox. I very rarely use Firefox. Let’s do that again. Attorney, did I do attorney or attorneys. I did attorney. OK. So people think you can’t rank on the first page of Google for these things. A little bit different. So Brownstein is here twice. Meriden Cooper Corporation is here. So a little different. There is your Wikipedia again formatted??? It’s still here Ok. But here’s Charles Thompson, Eaton Law, STMC Law, and then you have some news. So Charles Thompson was number two, Eaton Law three and STMC Law four. They’re all on the first page still but the order is a little bit different. As you can see this is moved up a little. Now let me get to my point. Let’s say what a lot of SEOs are doing, and depending on the area, so like New Haven law firm is probably a good search probably fairly high volume. Let’s find out. Probably should have decent amount of search volume. Zero to ten is not that spectacular. New Haven Law Firms gets 11 to 50. OK. And this is what I mean by brand. Look, more people search for Wiggin & Dana than they do New Haven law firms. So New Haven law firms gets 11 to 50 and a New Haven law firm to get let’s say 25 to 30 searches per month, you know depending on what they do, that could be a pretty significant volume of inquiries. Wiggin and Dana! So I did not mean to do that. So you can see the value of branding. We’ll get to that in a future episode. See this, Wiggin and Dana. So New Haven law firms, I’m not in New Haven. I’m about twenty-five minutes outside of New Haven. There are quite a few law firms here listed. Lawyers.com is not a law firm. Best Law Firms is not a law firm. But the rest are law firms. So let’s take a screenshot of as much of this as I can. Let’s Snip It. And I’ll include these screenshots in the show notes. So new haven law firms. This is the top 1, 2, 3, 4…. eight that’s only because I don’t want, too lazy to lower the zoom. New Haven Law firms. We did plural. I’m going to, I have a VPN software express VPN and I’m going to change my location temporarily. What do I mean? Well, you’ll see. So right now I have an IP address in Meriden Connecticut. Actually, my yeah, Meriden. So it says I’m in Meriden. OK. I’m gonna say now that I’m in, let’s go to a different location in the U.S. Let’s say Dallas. Hopefully, it works. Give it a moment to connect. Ok, It’s On. So let’s see what it gives me for an IP. Now it says I am in Dallas. Let’s do that again in Firefox. New Haven Law Firms. OK let’s just do attorney. Then we will do New Haven law firms. So now it’s showing me attorneys. There’s your news. These are attorneys in Dallas. Here’s your definition, attorneys.com, more news, attorneys in Dallas. So what you get for your search results in Dallas are not going to be the same as me in Meriden. So let’s do New Haven attorneys and see if it’s the same. Maybe I did it in Chrome. Yeah. New Haven law firms let’s see if that’s the same. So we screenshot. I’ll bring it back up in a moment. So you can see the Google business listings I believe are the same. Let me find my screenshot. I don’t remember where I saved. OK. Best Law Firms, Wiggin Dana, Lynch Taub, New Haven Lawyers, so this looks to be the same. It is. Alright, but is that dependent on me being in Chrome which remembers my search history. So it’s goo too, looks pretty similar. So that’s interesting. I was expecting different results. If I go into incognito mode (private window) and Google New Haven Law Firms. Looks the same still. Yep, it’s still the same. So what that tells me is very specific searches, very specific queries New Haven law firms give you the same results across the board in the U.S. If I go to another country and I’ll get to that a moment it’s different. Now, why would this be important? So I expected a different result. So I’ve seen different results but this is interesting to me that is the same. And why would this be important? I might be a business owner, a law firm in Dallas that needs help from a New Haven law firm. So I might be calling up, go on Google and say I need a New Haven law firm. I don’t have a relationship with anybody New Haven. I need a New Haven law firm. And this is what it returns. Most people do not go past the first page. Most people don’t go past the first four listings. So that’s important to know. Very few people, I think it’s less than 8 percent. Go to page 2. So here is your page two results. Very few people come here. If I go??? So we saw attorney was not the same results because now it’s based on your location. So attorneys in Dallas are not the same as attorneys in Meriden or New Haven. Let’s choose a different country because this was a topic that came up. People searching for something from another country so let’s say, let’s try France. I have not tried to connect to a Europe VPN. So let’s see if this works. It says I am connected. Let’s confirm that I have a France IP and here we go. And we’re n France! Look at that. In a matter of minutes, I visited Paris. Alright, New Haven law firms. Let’s do it again. It’s in French. And I don’t??? Well, that’s interesting. So these are different. Google My Business listings are definitely different. I know who this is. I know this person. This is the same, not the same, so different. So as you can see now most of the first page results are still here, just in a different order. But again, like I said, first four usually get most of the clicks. So now LTKE moved up a little bit. They might get more clicks than Wiggin. Now the chances of somebody in France calling for a New Haven law firm are pretty slim but you never know. The point of this is that people think Google search results are the same across the board everywhere and they’re absolutely not. You can’t assume that what you get in another part of the country is the same as what I’m getting on my Google search. So Google search results are factored by your location. They are factored by your search history, your preferences. It may also take into consideration your google, your Gmail, if you use Gmail, it takes that into consideration. That’s not confirmed we don’t know for sure but we’ve just proven that this searching a keyword for (A) you can, let me let me go back to the United States. (A) you can rank for one-word, high-value keywords. We just proved plumbers and attorneys. Let’s try lawyers. Let’s just do lawyer. Lawyer. So I am back in Meriden now. Here’s your ads. So you can see I am back in Meriden. Why does it keep freezing when I do this. But these are Meriden lawyers, back in Meriden. Wikipedia definition. But now we have a local lawyer, we have the Bar Association, we have a local lawyer, we have lawyers.com. So two out of the first five were local, somewhat local. And then we have some news articles. So we have three in the organic results that are local. Let’s go to keyword explorer. Now here’s another point. New Haven law firm gets zero to 10 searches per month nationally. New Haven law firms gets 11 to 50 so your keyword choice is important. And so this is a good tool to use you can get 10 search queries per month. If you need more than that my suggestion would be to use the Google Keywood planner which is part of AdWords suite. You do need AdWords account. You don’t, I believe you need to have an active AdWords ad campaign. I fortunately have several clients with AdWords campaigns going so I can’t confirm one way or the other but I don’t believe you need an ad campaign. I think you just need an AdWords account. I could be wrong. So I will double check and get back to you. But it’s interesting and you have a branded keyword suggestion and this would be more for AdWords campaigns. This is a tactic for AdWords that actually gets more search than New Haven law firms. So this is why branding in SEO is so important and I’ll do that in a future episode as well. Coming up with all these great show ideas. So branding is important in your keyword strategy and in your SEO strategy. Let’s just do lawyer here and see what it does. You guys are making me use up all my search queries. So lawyer search queries between 30,000 and 71,000 and I believe attorney. Lawyer definition. No. OK. So lawyer gets between 30,000 and 71,000 lawyers gets I’d bet it’s less. Yes it’s less, significantly less. About 10 percent. No about…. significantly less, about a third. An attorney was the same attorneys. So whether you search for attorney or attorneys it doesn’t matter, I’m sorry attorney or lawyer it doesn’t matter. They are about the same search volume but the other nice thing with what keyword planner is instead of doing the U.S. you can do local to you. You can drill right down to the city. Yes. The results are about the same for a lawyer and attorney. So if you ran for both lawyer and attorney then you increase, you double opportunities. So I have lawyer here ??? Mahone, Billings and Barrett, and Carter if I do attorney, nobody’s doing both. Nobody ranks on the first page for both. But so now you have six law firms local to me that are getting somewhere between 30,000 and 71,000 searches per month on a national level. Let’s just do the Keyword Planner so I can show you. I don’t know the exact URL. Here we go. Sign In. Yes, I used Lastpass. I choose not to remember any of my passwords anymore. It’s just safer that way. Most things I use multifactor authentication now that’s whole other topic and I won’t get into right now. Alright, so keyword planner. Let’s get there. I think I just went in the wrong way so… Yeah, this isn’t it. Who is this that’s not running alright anyway. Somebody’s payment information is not up to date but that’s a whole nother story. So let’s say, lawyer. It already narrowed it down a Connecticut for me. So in Connecticut, there are 1300 searches per month for lawyer. Says competition is low. We can narrow this down even more so if I wanted to do just Meriden Connecticut. Three hundred and forty thousand people. We get about 20 searches per month. Now that might not seem like a lot but you also have to remember (and here’s attorney at 20). You also have to remember that they’re getting searches from surrounding towns. This is 20 possible clicks per month on the first page because remember most people are not going past the first-page average monthly search of seeing which, yeah so lawyer and attorney to get the most. If I did personal injury (Where are my results) its been creeping up that’s actually pretty high. So it’s been creeping up little by little every month. Let’s go back to attorney for a minute. So I don’t know if this is lifetime for attorney because this is saying there were 720 searches in June of 2018, of which 470 were on mobile, so more than half, which really shouldn’t be a surprise to anybody. Interesting. You earned saw this must be, I’ll have to look to see what this really means. But this is a better tool so you can get search volume locally so if I were to say search for, what’s a very uncommon attorney term. Well you know while we’re here I’ll point out something else. So if you search for, there are people that try to rank for very very very specific terms and I don’t get the strategy. So your keyword strategy should be somewhere in between trying to rank for high-value keywords and ranking for somewhat specific keywords that still have search volume. Some people try to rank for keywords that have zero searches. And it’s great, their site is on page 1 first slot and great! You did it! You have no competition. Nobody is looking for it. So you’re not really getting anything from that. So that’s another thing to be wary of if you’re talking to an SEO. Yes, you can rank for very specific search terms. I can probably do it within a couple of weeks sometimes. But if nobody is searching for it what’s the point? The idea behind this podcast was to show you how Google search works and how you can (a) rank for high-value single-word keywords like lawyer or attorney, we did plumber let’s do well let’s do what I need right now. Let’s do air… Let’s do HVAC. There’s an ad, there’s a definition. These are the different HVAC companies near us and this is the Google Maps. So then you have Cromwell HVAC which is about 10 or 15 minutes north of me. Middletown HVAC, You have an Extreme Temp CT in Southington. So these are pretty local towns to me. Wallingford and Cheshire also pretty local to me. We have 1 2 3 4 Looks like 4, oh Silver City I missed them. 1 2 Silver City is in Meriden 4 5 on the first page Google that is local just for HVAC. You can rank on the first page of Google, locally, for one-word keywords. As a matter of fact the days of ranking throughout the United States, throughout nationally for one-word keywords as you can see just based on what I’m doing here. Those days are over. So nobody is going to own the top spot for lawyer across the board. Because, somebody does, Wikipedia owns it but no business is going to own it. Lawyers.com is a lead generation, I believe, a referral service. Yeah. And being on these sites, I don’t know, off the top of my head, I don’t know what the cost is or what you have to do to be on the site but being on these sites should also be part of your SEO plan. So will do those on future episodes, but as you can see with 4 high-value keywords, one-word keywords, local businesses are ranking on the page first page of Google. And as you can see if I’m in a different location then my results are different. And finally, if I’m in another country my results are different. So if you’re in Europe or in Asia you’re not going to get the same results as me here in the United States even for very specific keyword phrases. So if I type out a personal injury lawyer that helps with Mesothelioma it’s going to be different in France than it is going to be Meriden Connecticut. And that’s because Google takes your location into consideration. If I type in something specific to a location so Meriden lawyer it may be different based on my location if I’m in a different country. As we saw with my results in the U.S. The results were the same. Now there ismore than one New Haven and more than one Meriden in the United States. You might have to factor that into the results but that’s how Google search works. Google search takes your location primarily, your previous search history in your preferences and potentially your Gmail settings if you use Gmail. If you think going incognito changes anything let me show you it does not. Lawyer…. because I actually spoke with an SEO online who said that they go incognito to confirm search rankings and as you can see here it doesn’t mean anything. I’m still getting very similar results. So don’t believe that either. So that’s going to do it for the first episode of SEO Hackerz. My plan is there is a Facebook group if you go to SEOHackerz.com and that’s with a Z, not with an s.
So that’s S E O H A C K E R Z dot com. Go there, that will bring you to the Facebook group. I do plan on having members of that group on my podcasts in the future. And this, as you can see, I’m doing videos as well, so maybe we’ll break down a website go over what needs to happen on your website. I have a lot of ideas for this podcast. This was the first one. And there’ll be plenty more. I don’t know the frequency. Maybe as I come up with ideas and I have a ton already. Maybe once a week. I don’t have a set time. There won’t be live for now. They may go live on my Facebook page in the future. I’m Scott Gombar your SEO expert on the podcast. If you go to scottgombar.com that’s my website for the business S C O T T G O M B A R dot com. And once again Facebook group is S E O H A C K E R Z dot com SEOHackerz.com. It will take you right to the Facebook group where I do plan on having members on the show in the future. Until the next episode, I will talk to you next time and remember SEO is for the people!